Under Atlanta law, property owners are required to use reasonable care in maintaining their premises and to avoid exposing others to unreasonable risk of harm. At McGarity and Efstration, we have successfully represented hundreds of slip and fall victims seeking compensation from negligent property owners for their injuries. We understand the types of injuries involved with falls and the compensation you can seek for your damages. Our legal team uses our years of experience handling these types of cases to benefit you. Whatever your injury, you should seek medical attention as soon as possible. When it is time to consider your legal options, McGarity and Efstration is fully prepared to assist you. Any property owners whose premises feature the above spaces may be liable for your accident-related injuries. 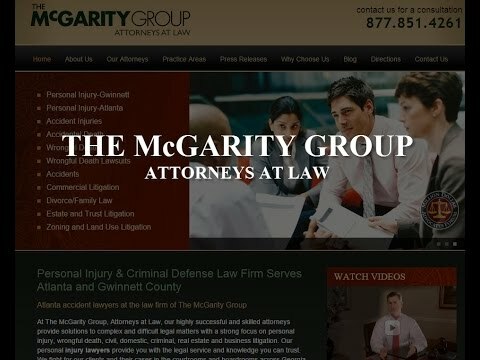 At McGarity and Efstration, we have a thorough understanding of Georgia’s slip and fall laws and how to help you obtain payment for your medical bills, pain and suffering and other damages. If you have questions regarding your fall and what amount of compensation you may recover, our attorneys possess the knowledge and skills to help you. If you have been injured on another person’s property, you should seek proper medical care first and call McGarity and Efstration, Attorneys at Law for a free initial consultation. Contact us at 877.851.4261 or online. If you cannot travel to our office, we can meet with you in your home or at the hospital.